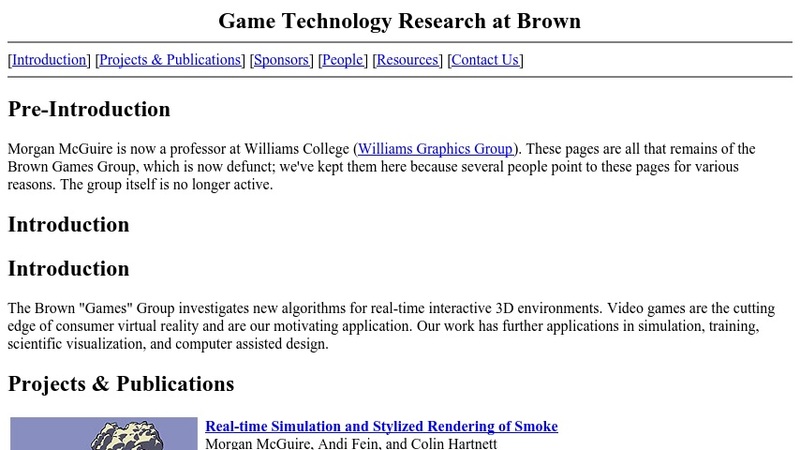 This website highlights research at Brown University on game technology. The Brown "Games" Group "investigates new algorithms for real-time interactive 3D environments." The group's work, which focuses on video game applications, also has implications for simulation, training, scientific visualization, and computer-assisted design. Papers discussing the group's approach to creating realistic images and other theoretical issues relating to creating 3D environments are posted online to download free along with graphic representations and video clips.